In this time of great changes, I thought I might share a view from the ranch this morning. 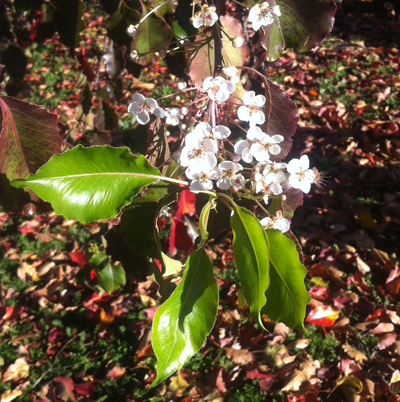 Our cherry trees begin blooming after the rains start in November or December. They will continue to bloom for another month or two. For all of those people who are huddled against the cold, know that soon the changes will bring spring-like weather and the cherry blossoms will bloom.